There is no health without mental health and these mental health-related Instagram accounts understand that. The reason this matters so much is because social media can make you feel bad about yourself and harm your self-esteem if you’re seeing the wrong messages. The following Instagram accounts will help your mental health, not hurt it. They range from formal mental health organization accounts to community accounts to the accounts of individuals. No matter what you’re looking for, if it’s related to mental health, these Instagram accounts can help. Everyone grows at their own rate. Try to have patience with your progress. It contains great messages for those with and without mental illnesses and introduces some people with real recovery stories. This Instagram account for mental health offers up a new story of someone with mental illness every week and great tidbits in between. Anxiety isn’t weakness. Living with anxiety, turning up and doing stuff with anxiety, takes a strength most will never know. 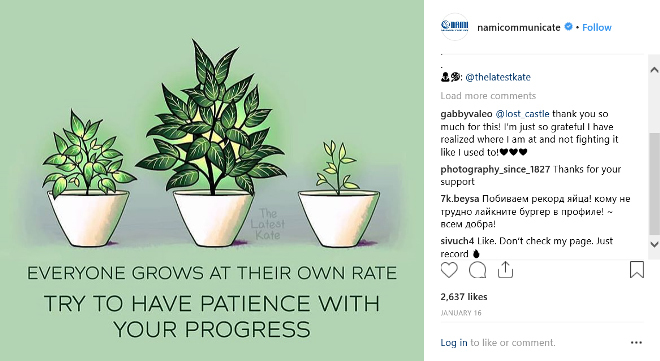 This mental health-focused Instagram account reposts the best from a few other places and adds their own thoughts. This account focuses on all aspects of mental health from how to get help and create a crisis plan to healthy motivation tips. This account is about the author’s positive thoughts in regards to quotes and images she finds. She relates her own experience with mental illness and what’s currently going on in her life. She will make you smile, nod and maybe even chuckle a little. I know you don’t feel it, and I know you can’t see it, but you are doing fantastically well – and I’m so very proud of you. As with many of the other accounts on this list, Jess Sharp creates the bulk of her own Instagram content so you’ll be seeing something unique constantly. Have you ever just randomly started crying because you’ve been holding in all these emotions and pretending to be happy for way too long? This account posts 1-2 times per day, primarily with motivational, unique quotes but also with real stories from people with mental health conditions. Keep going, you’re still growing. On this Instagram account, not only will you find messages centered around hope but also those centered around inclusiveness of sexuality, gender and ability. I don’t want or need to be fixed. My beauty exists within my brokenness. This account is creative and is guaranteed to make you think. Add one or more of these accounts to your instagram and focus on positive and thoughtful mental health messages. It’s a good idea to pursue healthy mind, lifestyle changes and treatment options together to cure the underlying problems. This list is brought to you by Canadian Pharmacy King, providing exceptional Canadian & international mail order prescription services for over 16 years. 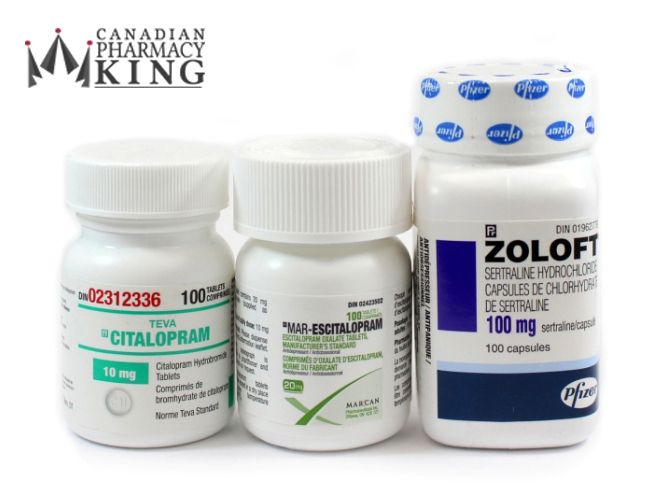 Located in Vancouver Canada, they sell popular psychotropic drugs such as Citalopram (Celexa), Escitalopram (Lexapro), and Sertraline (Zoloft). They stock the most well-known brand names including Lundbeck, Pfizer, etc. and generic names including Jamp, Marcan, Teva from Canada, UK, Turkey and different countries. The price range is from $0.22 (Sertraline 25 mg from Canada) to $2.66 (Lexapro 20 mg from Canada) per pill or unit. Before you decide to take any medication, you should make sure you have all the treatment options you need to feel confident about your decision.